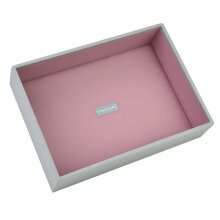 Mink with a stone velvet lining. 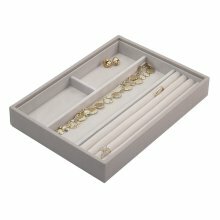 Create your own jewellery box. 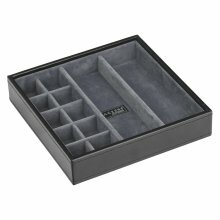 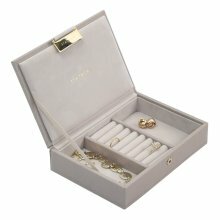 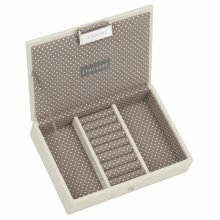 The best and most Versatile Jewellery Box Storage Solution available today. 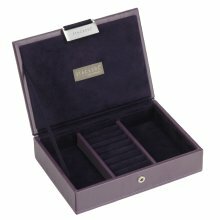 The concept is, like many of the best ideas, simple; with each STACKER designed to sit neatly and securely on top of one another, with different interior layouts to choose from and then a lidded option to sit on top (or use as a travel jewellery box) - the combinations are endless! 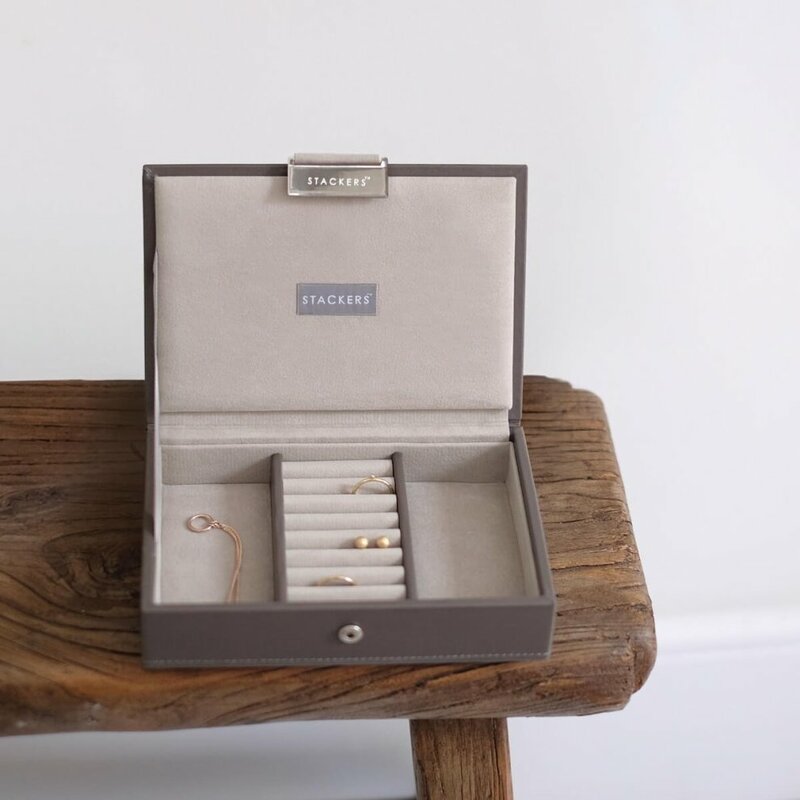 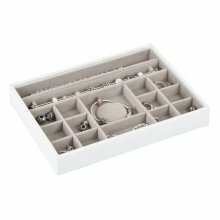 This versatility means that people can tailor their STACKERS collection to suit their needs and just add more when their jewellery collection grows. 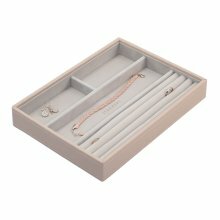 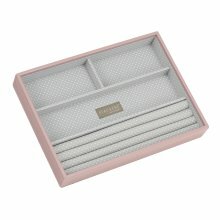 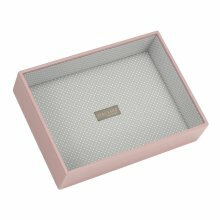 STACKERS 'CLASSIC SIZE' Soft Pink Deep Open Section STACKER Jewellery Box with Grey Spotted Lining. 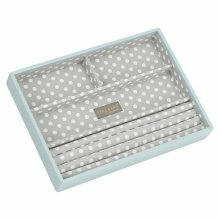 STACKERS 'CLASSIC SIZE' Duck Egg Blue Ring/Bracelet Section STACKER Jewellery Box with Grey PolkaDot Lining. 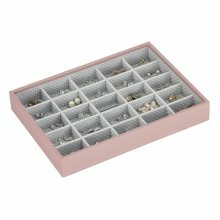 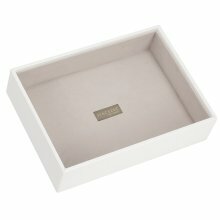 STACKERS 'CLASSIC SIZE' Soft Pink 25 Section STACKER Jewellery Box with Grey Spotted Lining. 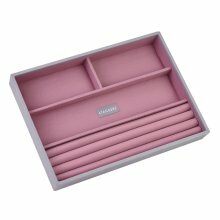 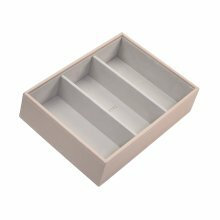 STACKERS 'CLASSIC SIZE' Soft Pink Ring/Bracelet Section STACKER Jewellery Box with Grey Spotted Lining. 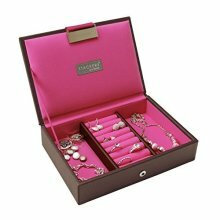 Stackers Mini Size Chocolate Brown Lidded Jewellery Box with Bright Pink Lining. 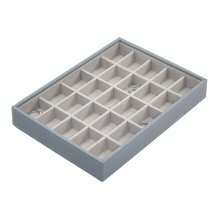 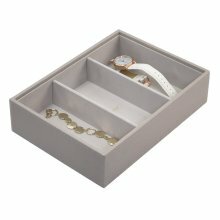 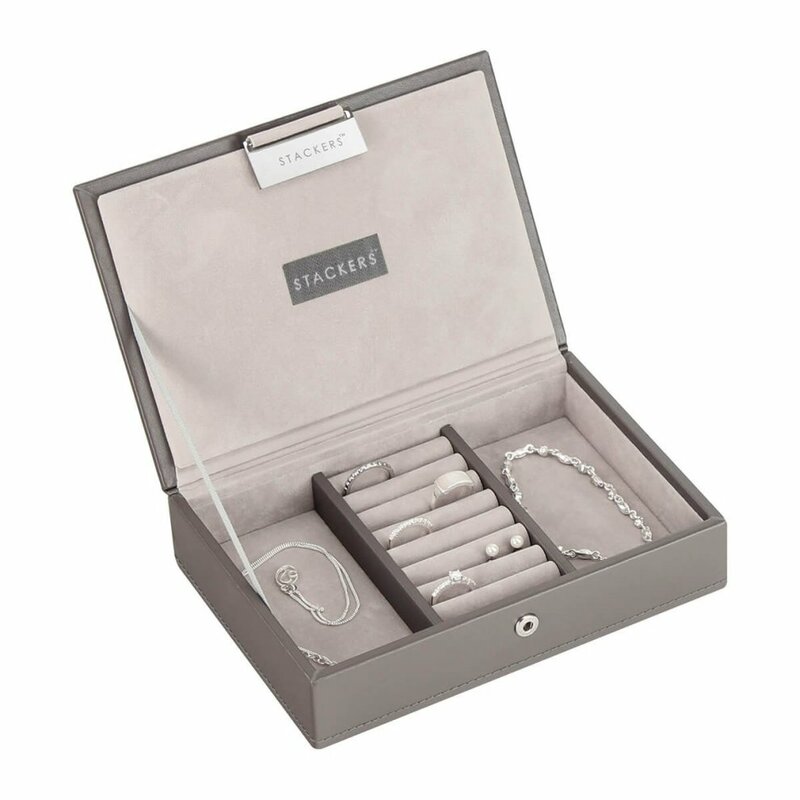 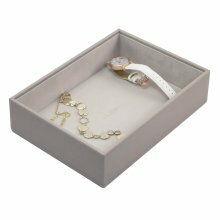 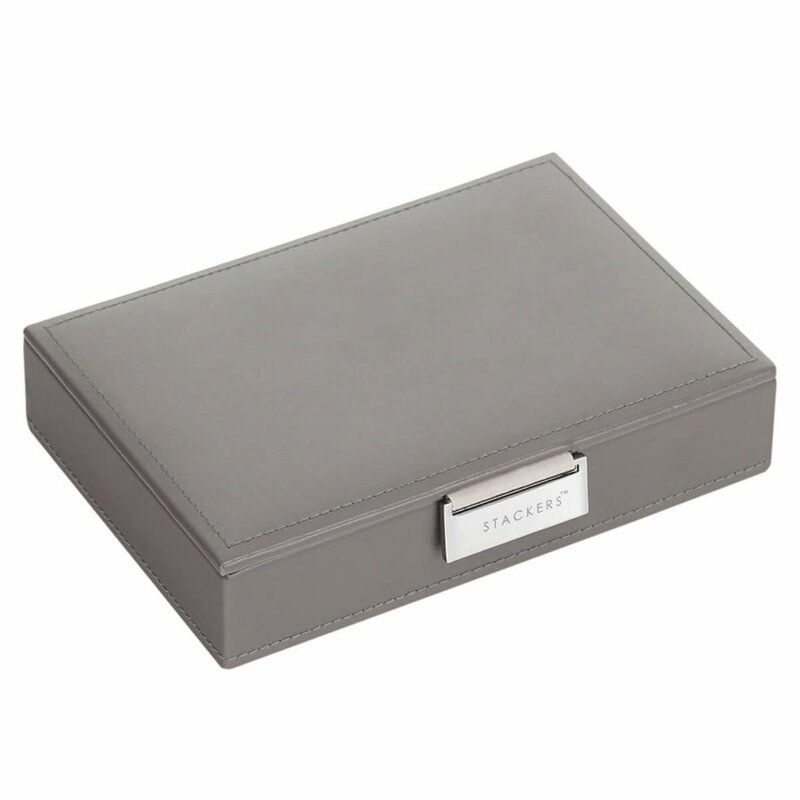 STACKERS 'CLASSIC SIZE' Dove Grey Cross Hatch Deep Open Section STACKER Jewellery Box with Antique Pink Lining.